Learn how to catch full speed punches out of the air. 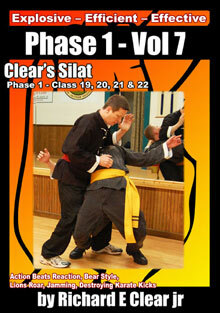 One of the classes in Clear’s Silat Phase 1 is how to Catch Full Speed Punches out of the Air. This is a timing and perception training class much more than it is an application class. In other words, it is not that we Catch Full Speed Punches out of the Air and hold the attackers punch while making some maniacal B movie laugh as the attacker falls to their knees and melts away at our feet. 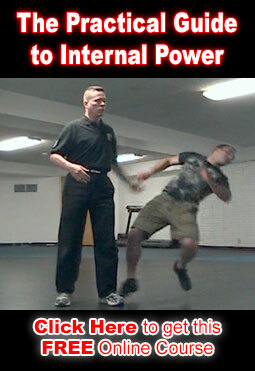 In fact if you can successfully catch an attackers punch you had better be moving on to your next attacking technique in process without delay or you are likely to be holding their first punch while they land the second punch on your head and then continue to hit you. They will marvel later that you actually caught their punch but then they beat you badly as you stood there attempting the maniacal movie laugh. So, what is the benefit in a fight of Catching a Full Speed Punch out of the Air? First of all if you can perceive well enough to do that then your response to any movement the opponent makes should be timed well enough that you can outpace and out position them fairly easily. For most people speed and power diminish after they reach a certain age somewhere between 40 and 60 years of age. However, timing and perception continues to improve as long as you are physically well and continue to train. I have had quite a number of teachers in their 70s and 80s who are physically quite capable and who move quite fast and well. When you talk to them about speed they will quickly tell you that they are much slower than the average 20 year old in good shape but that their perception and timing are what is making them appear to move so fast. To catch a full speed punch out of the air you will want to train the basic Clear’s Silat vision method of sleepy eye as well as action beats reaction and positioning skills such as Welcoming Posture # 1 and constant motion. When you put all of these elements together you really get a good look at what the art is supposed to look like and it makes sense how this is an art that is used to defend yourself against multiple attackers armed with bladed weapons. The better you can get at naturally moving with all of these elements happening at the same time the more correct your practice and performance of the art will be. This includes your evasion, flanking attacks and your counter attacks.